According to numerology every number represents a part of human body, as per which associated diseases or problems are caused. Let's see what number shows which disease. From numbers 1 to 9 what all a person could possibly face in terms of diseases. 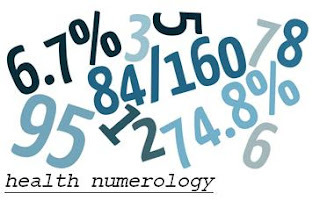 If born on 1,10,19,28 of any month, your number will be 1 and similarly the following numbers can be calculated and their ailments can be seen. Due to it being number of the sun,they constantly think about progressing and being ahead. Constant thinking puts pressure on their heart and blood flow and as they get angry quickly they are also likely to face blood pressure related problems. Number 1 person will likely face high blood pressure,heart problems. They should also keep their eyes safe from sun's strong and bright light else they could develop eye sight related disorders. Due to the association of Moon a person with number 2 are very emotional. When a person's feelings are hurt then they start feeling ill both mentally and physically. When hurt, they don't take care of eating properly and fall ill. These people should get confidence in them and should try to avoid things that could hurt them. They are effected by Jupiter planet so they desire famous,fame,good personal life and social status. If at all due to any reason a person is unable to get what desired they get hurt mentally. They become egoistic. Number 3 is related to speech so body parts like throat and tongue are effected. Liver related problems could also occur. Obesity could also become a health related issue. Due to effect of Rahu these people are very hardworkers and are dedicated towards attaining their goals. This effects nerves in the body and transmission system also becomes weak. They also at times get such type of disease which are not even diagnosed by doctors ,due to Rahu's effect. Also they should put a stop on their habit of eating alot. A person is hyper active due to the presence of mercury Planet as a result a person might be always engaged in some or the other work. They are very agile natured and restless. Due to excessive work nervous system could be effected also they could get body imbalanced. Alongside this very sensitive part of the individual could also be effected. venus planet influenced this number, a person takes the responsibility of all sorts of domestic household work upon oneself and sticks to it more than what is required. You strike balance between excessive love and excessive balancing due to which anything less than desired is unacceptable and will create unrest. IF you get less than what you think and have hoped for will create problems. You are very strong mentally but are less strong physically. You tend to make hill out of a mole. Nervous system and mental process is effected. Due to alot of problems they have a chance of developing hearing problem. Backbone related problems could also occur. They are very energetic and wishful. You could be negligent towards you family and are also ready to do anything to get success. Due to your vague approach you could face anxiety,Indigestion , ulcers , headaches and arthritis. However, its a good thing that soon everything will be fine because you have a strong brain.The liver and spleen may be effected with disease. The impact of the number 9 is on personality, and makes you impulsive person , you can be highly influential . Kidneys may be affected . The skin disorder can cause infections .So you should take care that you keep safe from such places. You should also take care of yourself instead of helping others always.